Karen Best has an MA in Applied English Linguistics from the University of Wisconsin-Madison and has taught English in various contexts and capacities since 2005. She has lived and worked in South Korea two times and even spent a summer teaching in North Korea. Her teaching practice and research focus on second language writing, reflective teaching, and writing feedback. The ESL Program and the Writing Center at the University of Wisconsin-Madison are both housed in Helen C. White hall, just one floor apart. However, despite this close proximity, our floors remain mostly separate, our staff distinct. Either you work in the ESL Program on the 5th floor or the Writing Center on the 6th, but not both. While the relationship is not antagonistic, the programs have seemingly distinct mandates, identities, and spheres of influence. In truth, the ESL Program and Writing Center admire and respect each other’s work, and there have been moments of collaboration: a workshop here, a discussion there, but nothing systematic and long term. However, there has been a recognition that there is overlap in our mandates and spheres of influence, namely in regard to our work with ESL and multilingual writers. 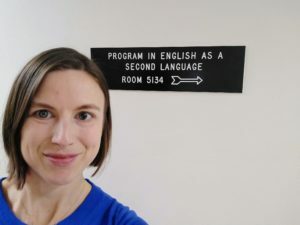 My newly created position of ESL Liaison is, therefore, a step toward deeper and more formalized connections between the 5th and 6th floors of Helen C. White; it is an attempt to connect our knowledge, expertise, and ethos in service of multilingual writers on campus. 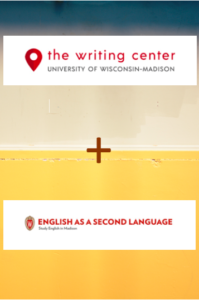 The Writing Center has long sought to support the ESL and multilingual writer communities at UW-Madison. During the last 10 years, UW-Madison has seen a large increase in its international student population (a somewhat useful, yet imperfect proxy for multilingual writers on a campus), and specifically in the number of students enrolled in ESL classes. Even before the numbers were large the Center grappled with the paradox that multilingual writers are both very much like their (mostly) monolingual, native English-speaking counterparts, yet often do experience unique writing challenges. For example, most students struggle with both local and global aspects of their writing, especially in early drafts, and writing centers are well-positioned to help all students with these struggles. Yet there is a nagging sense of difference. As Staben and Nordhaus (2009, p. 72) write: “Regardless of the similarities in the texts, you sense that the needs of the writers are different.” With multilingual writers now utilizing upwards of 50% of writing center appointments—a trend seen in other US-based writing centers (e.g., Rentscher & Kennell, 2018) —these differences and our role in helping these students has come to the fore. Writing centers across the country are working to address these needs and challenges. 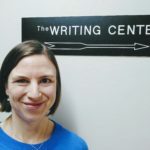 Some examples that I’ve admired from afar include DePaul University’s Collaborative for Multilingual Writing and Research, an arm of their writing center that provides support for writing, oral skills, and cultural exchange. The University of Iowa boasts not only a writing center, but two oral skills centers: their Speaking Center and Conversation Center. I love these efforts and the many other ways I’ve seen writing centers across the country reaching out to multilingual writers. I appreciate, admire, and hope to continue to learn from those who are working to assist multilingual writers, which includes many of you reading this blog. This work at UW-Madison’s Writing Center has previously been mostly behind the scenes: Trainings, readings, discussions, conferences, and research studies by individual tutors have repeatedly focused on meeting the needs of the multilingual communities on campus. However, as the Writing Center began to spend more time and energy assisting multilingual writers, the leadership team wanted to increase understanding of best practices for assisting multilingual writers and of second language acquisition, second language writing, and applied linguistics. 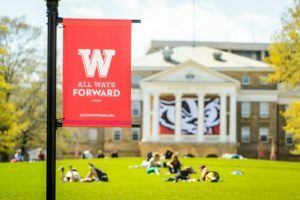 Given UW-Madison’s strong, comprehensive ESL Program, which during the last 5 years has averaged nearly 1,000 students in around 70 course sections each semester, collaboration seemed like a natural fit. Writing Center and ESL directors, Brad Hughes and Sandra Arfa have been long-time friends and allies in their work with academic writing and multilingual writers. They met to discuss ways the programs could formalize and enhance their collaboration. After kicking around ideas and working to overcome logistical barriers, the role of ESL Liaison was created: a shared staff member that could cross-pollinate the skills, knowledge, and ethos of the two programs. They wanted a person working on both the 5th floor and the 6th floor who would be able to dedicate time and energy to support multilingual writers. I have worked and researched in the field of second language writing for almost 10 years but always in an ESL or EFL teaching context. Therefore, a large part of my first three months in this position has been filled with orienting myself to the writing center context. To do this I’ve read (well…skimmed) upwards of 30 articles, participated in more than 15 hours of new tutor training, and met with nearly a dozen staff members—all with the goal of learning about the writing center context, ethos, and vision. I’ve also worked to gain a vision for better serving multilingual writers in our writing center. A key to learning the context, though, is getting your hands dirty. My weekly writing center shift enables me to use my training to work with students—multilingual students and others—in their many writing tasks. As is often the case in writing centers, working with a wide range of students on writing as different as a National Science Foundation Graduate Research Fellowship application and an undergraduate reflection paper in a nursing course, has informed my understanding of academic writing, and thus how I teach writing in other contexts. In writing center tutoring sessions, I often draw on my knowledge of applied linguistics and my experience teaching and providing feedback in academic ESL writing classes. This knowledge and experience are especially useful when working with multilingual writers who are struggling with the linguistic, grammatical, and rhetorical demands of writing in their fields. 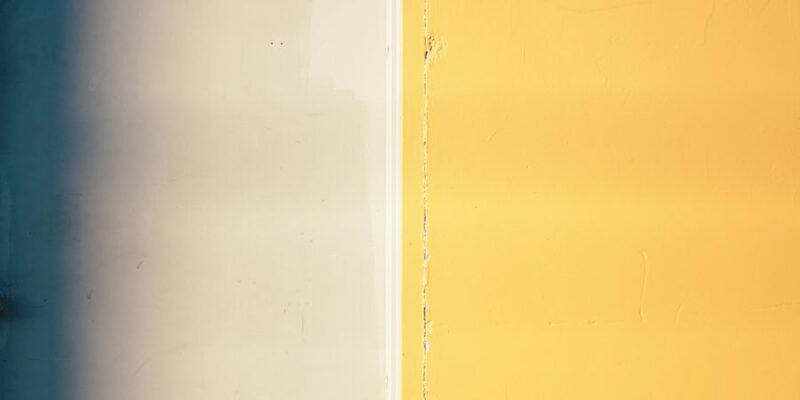 While multilingual writers come to the writing center with many and varied strengths and concerns, they often raise concerns about their use of grammar and language. In these situations tutors often find themselves asking: What kind of assistance will best help an individual who has somewhat or very limited access to the deep, complex subtleties of English grammar and vocabulary and desperately wants to improve this aspect of their writing? What is my role in contributing to their long term growth in these areas as well as helping them with their specific writing task? It is these questions that I ponder when my tutoring conversations with multilingual writers turn, either partially or fully to ‘language.’ And it is these questions that I’ve been mulling over as I read articles, converse with colleagues, and lead workshops. I’ve started to formulate some answers, some ideas that just might be helpful, especially to less experienced tutors. These early answers start with an observation regarding the often-referenced dichotomy of local and global aspects of writing: Talking about language and talking about grammar are not always ‘local concerns.’ On some papers, for some students, talking about language is the key to pulling out an argument, to developing a narrative, to showcasing evidence, i.e., the global concerns. The local/global dichotomy does not always work for multilingual writers. Yet the tension is that of course the dichotomy often does work—it often does make sense to focus on global concerns first and then move to sentence level language concerns. While this observation will not surprise many who work with multilingual writers, I wonder if a more robust conversation and discussion about if, how, and when the local/global dichotomy serves us well could be helpful and transformative. In this new collaboration we have many ideas about how to promote such dialogue, enhance programming to multilingual students, and extend the ESL Program’s support of multilingual writers beyond the traditional for-credit classes. Some of these are already in the works, and I hope to share them with you in the coming months and years. So stay tuned for updates on the Writing Center + ESL collaboration and the work and musings of this ESL Liaison. Staben, J. & Nordhaus, K.D. (2009). Looking at the whole text. In S. Bruce and B.A. Rafoth ESL Writers: A Guide for Writing Center Boynton/Cook. Great piece Karen! Thanks for helping to bring ESL and The Writing Center closer. We have a lot to teach each other and a lot to learn. I’m looking forward to future musings. This is an overdue collaboration. I look forward to seeing the next installments. It makes so much sense to have the ESL Program and the Writing Center work together. I look forward to hearing your perspectives on how the Writing Center serves the international student population. This is a wonderful opportunity for collaboration that will benefit not only the international students, but the staff as well. I really like your point about the local/global dichotomy and how it applies (or sometimes doesn’t) to multilingual writers. There’s a lot of “it depends” when applying this dichotomy to multilingual writers. I appreciate the underlying values this effort represents, at bothe a micro level, and the big picture. Thank you. This is really exciting, Karen! I look forward to your musings. Such exciting work! It’s wonderful to see this much needed collaboration and learn about your experiences in this new role. Looking forward to future updates. What a wonderful experience you have to see our ESL students in their non ESL roles (or at least quite far from their “language acquisition” focused roles). 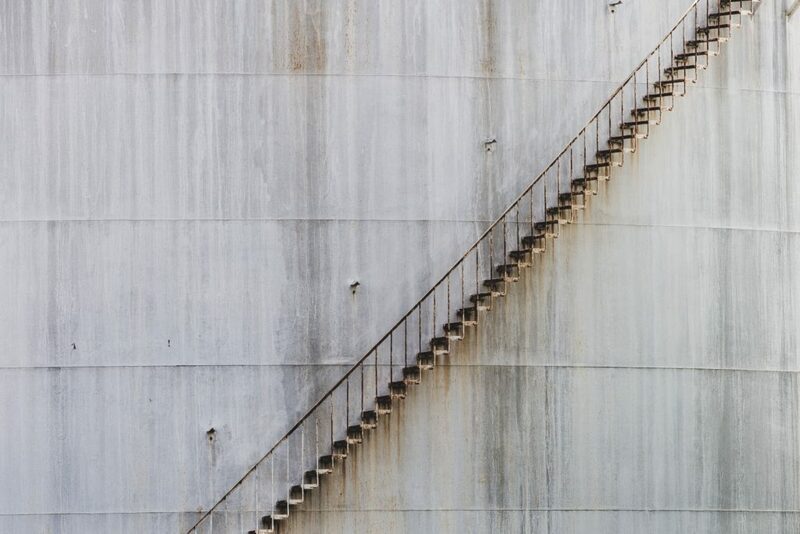 It is easy to forget that the majority of their time here is spent in situations that are not formulated to meet their needs, but which rather force our students to adapt to the needs of the situation. This knowledge can surely be helpful as we work together to not only make a more inclusive learning environment but also prepare students to better engage with that environment.